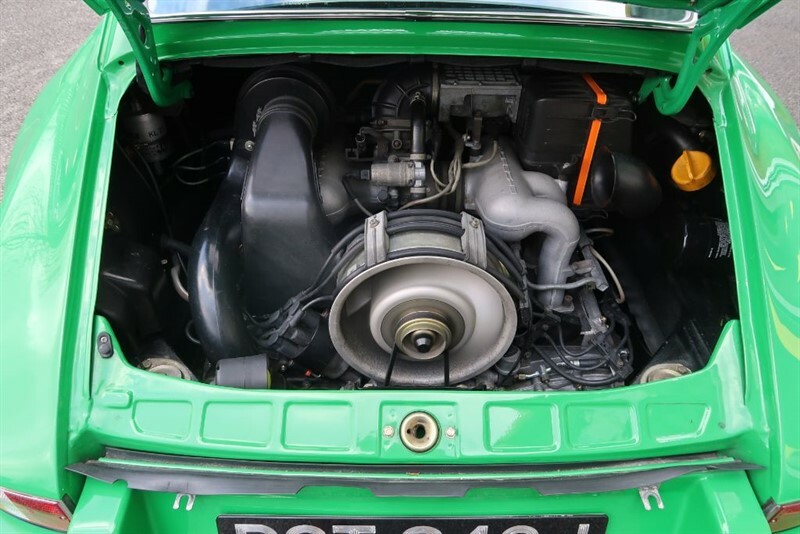 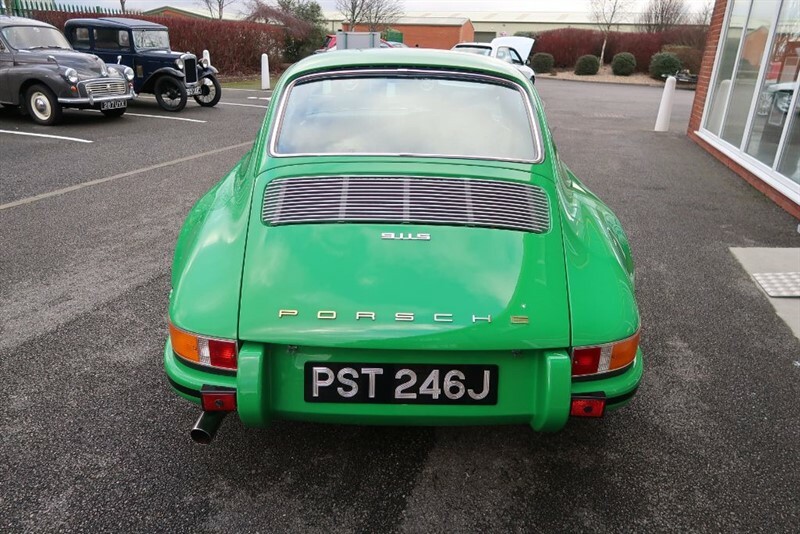 The ST didn't actually exist as a production model but was in fact a kit sold by Porsche in the early 1970's to its motorsport customers who added the kit to a standard 911S. 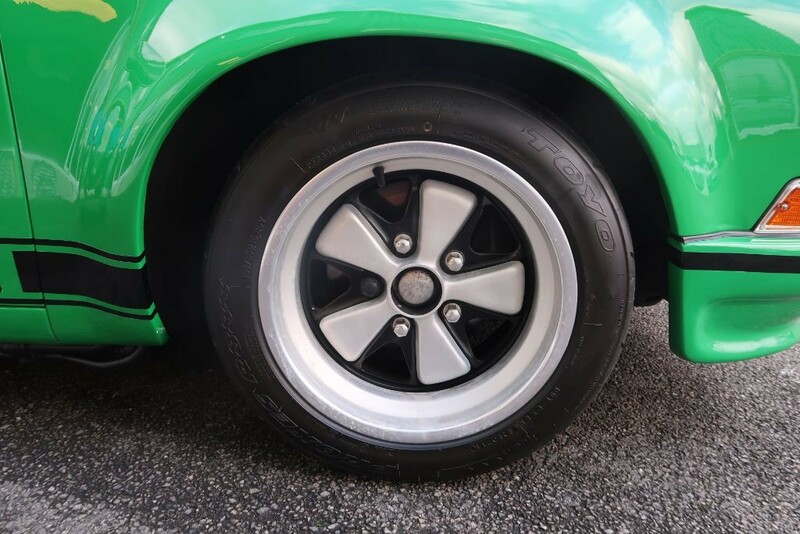 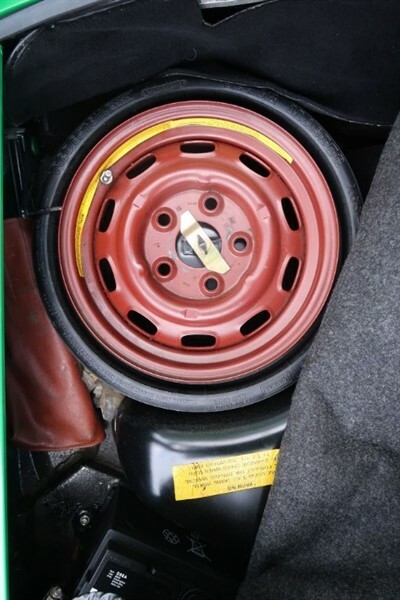 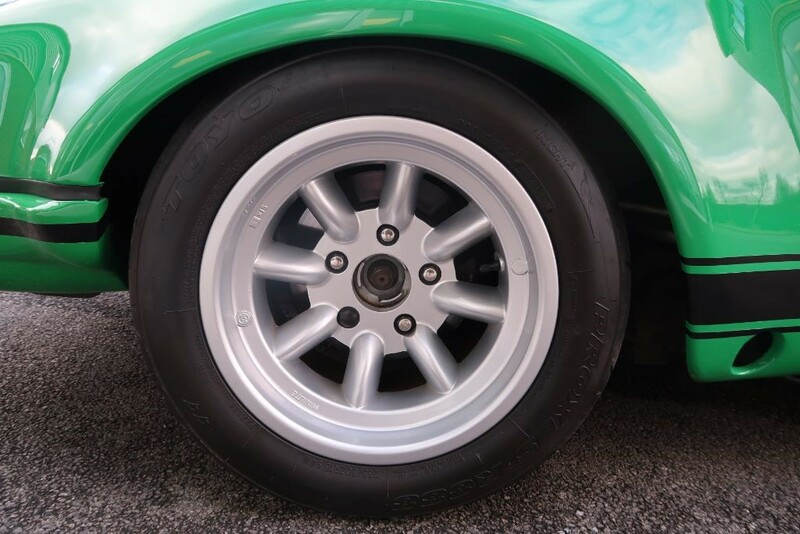 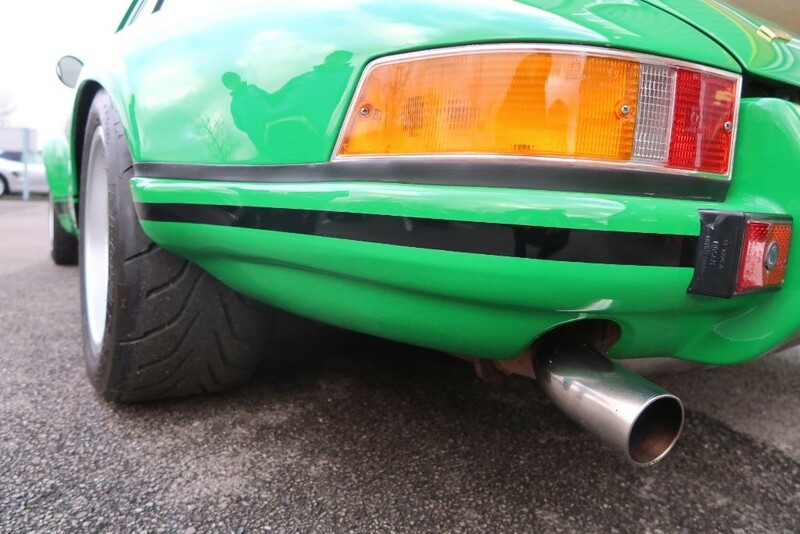 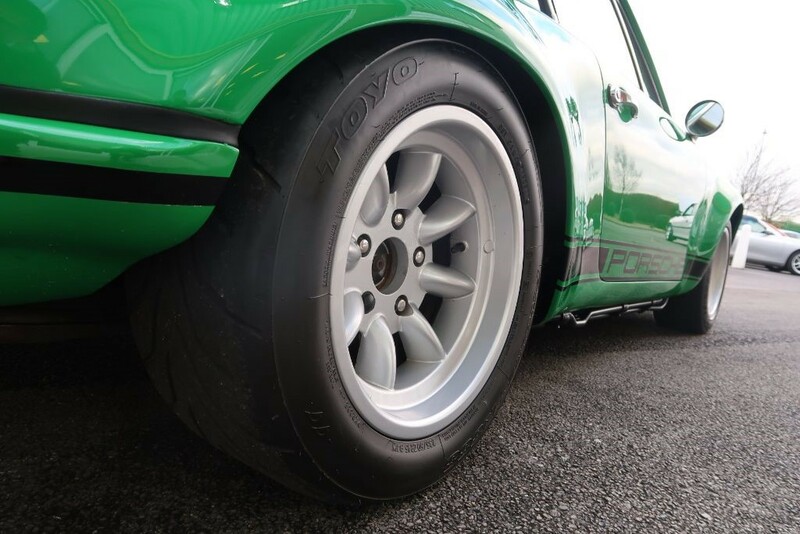 Normal features included the flared front and rear wheel arches covering 8" Fuchs alloys at the front and 9" at the rear, often Minilites were chosen for the rear. 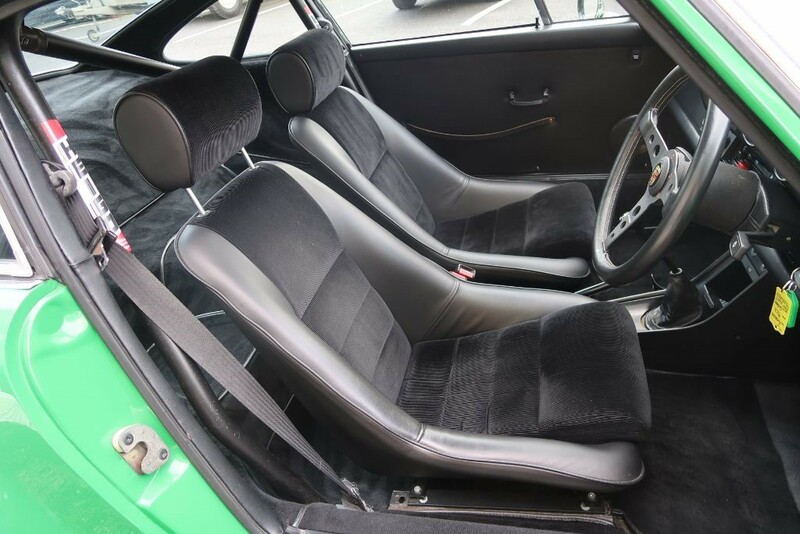 A roll cage and racing seats were added and they were ready to race. 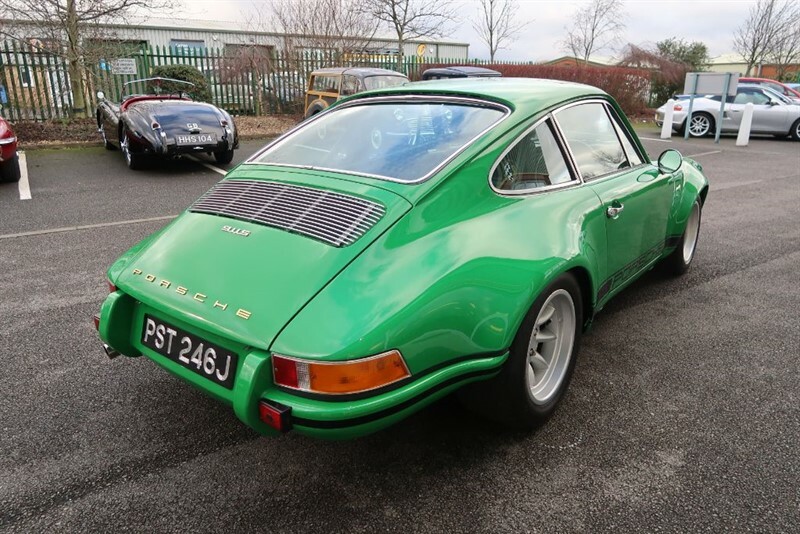 It is understood that Porsche built less than 40 of these cars and they are amongst the rarest of Porsche models today and priced accordingly! 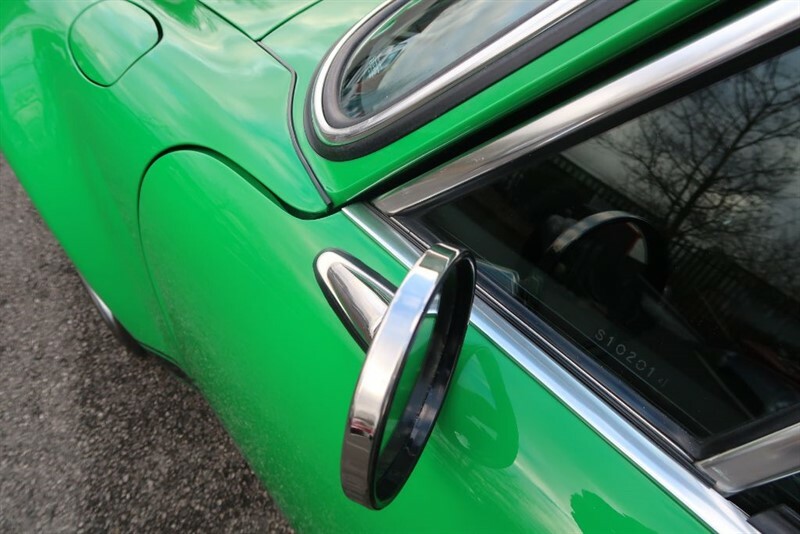 Our car is a recreation of the 1970 ST. 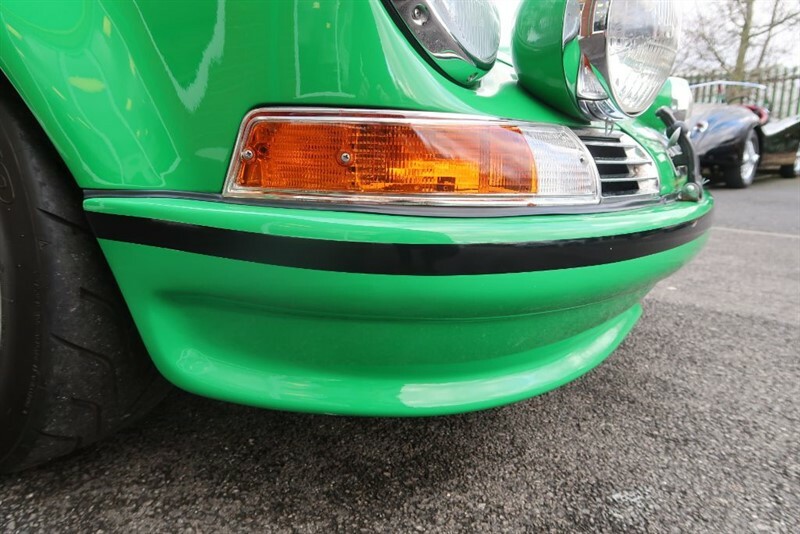 It started life as a 1987 Carrera 3.2 Coupe finished in black with factory sunroof and a G50 transmission. 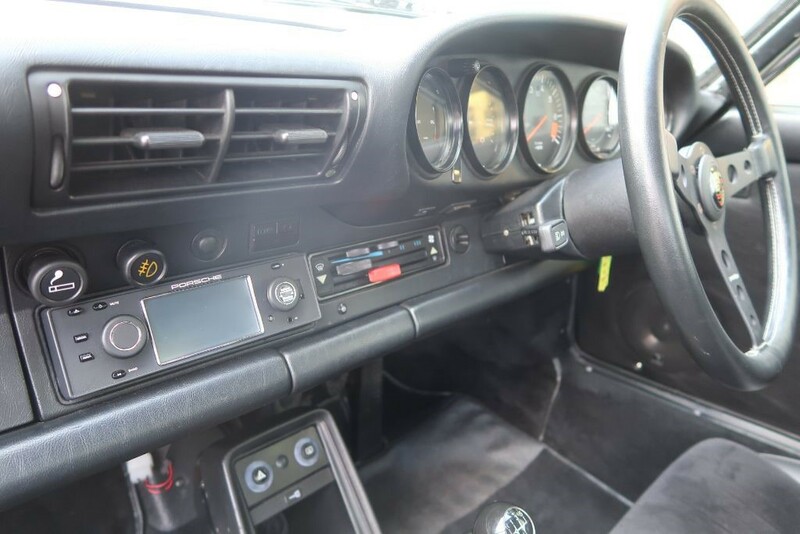 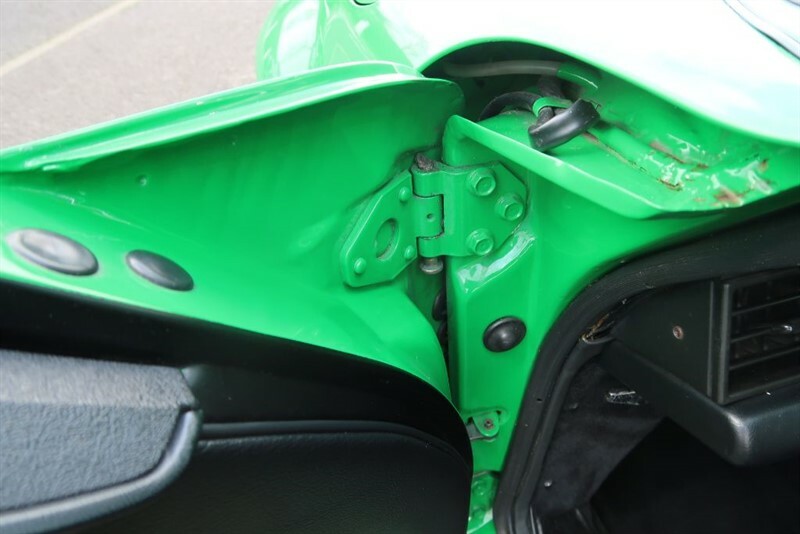 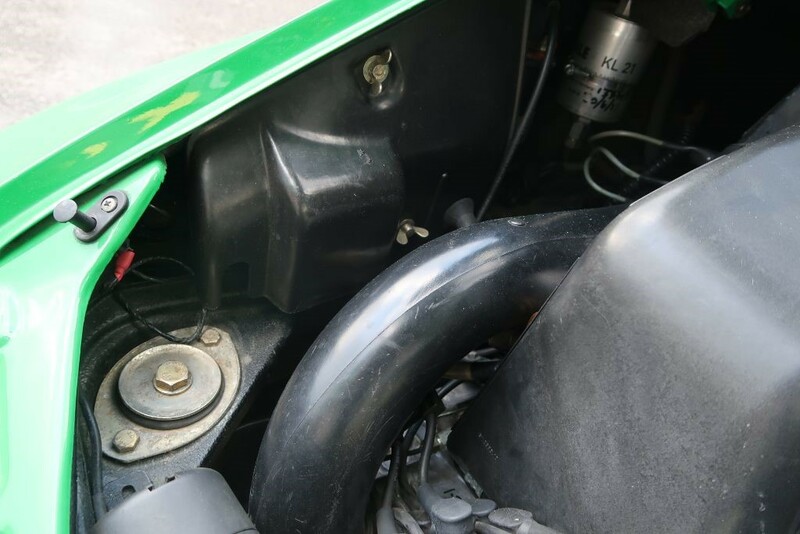 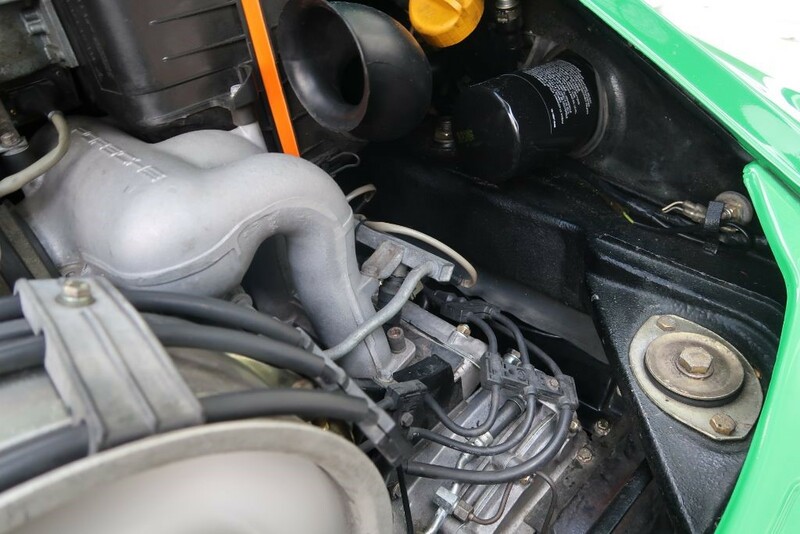 This car was chosen due to the condition and extensive history file which accompanied the car, including the original dealer manuals and all MOT certificates bact to 1995. 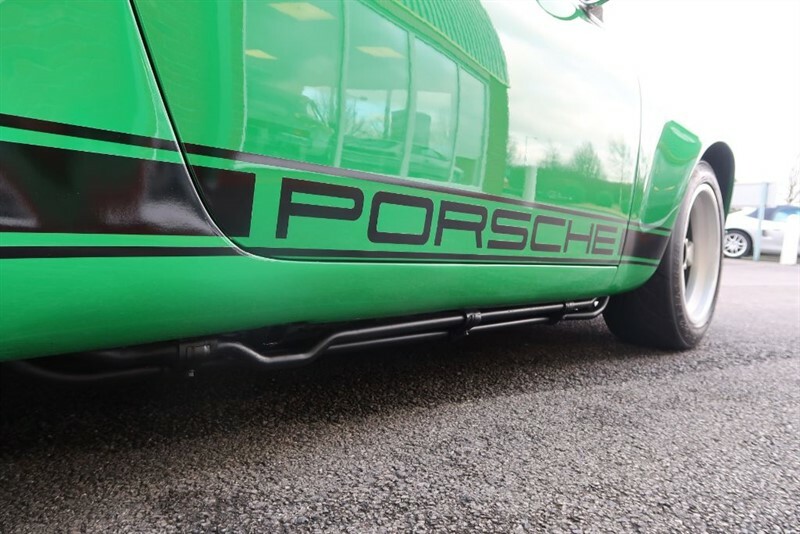 Renowned UK Porsche Specialists Autofarm were awarded the project in 2009 to 'backdate' the car and recreate the ST look that you see today. 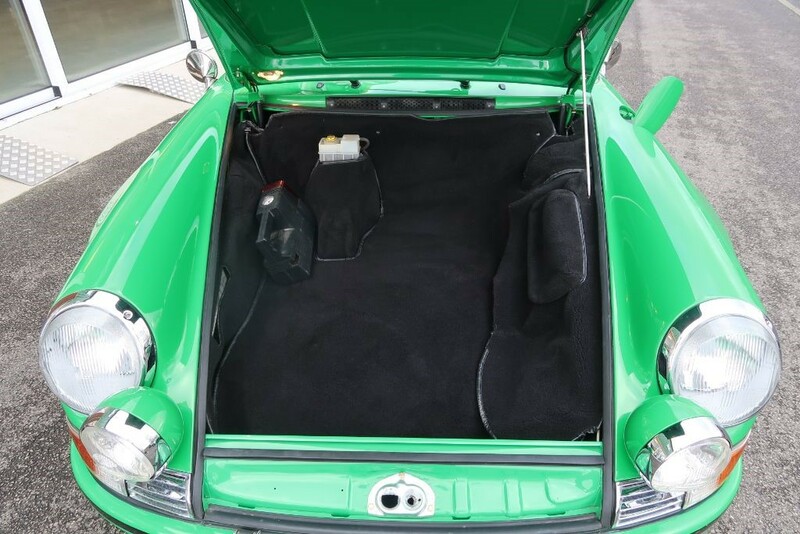 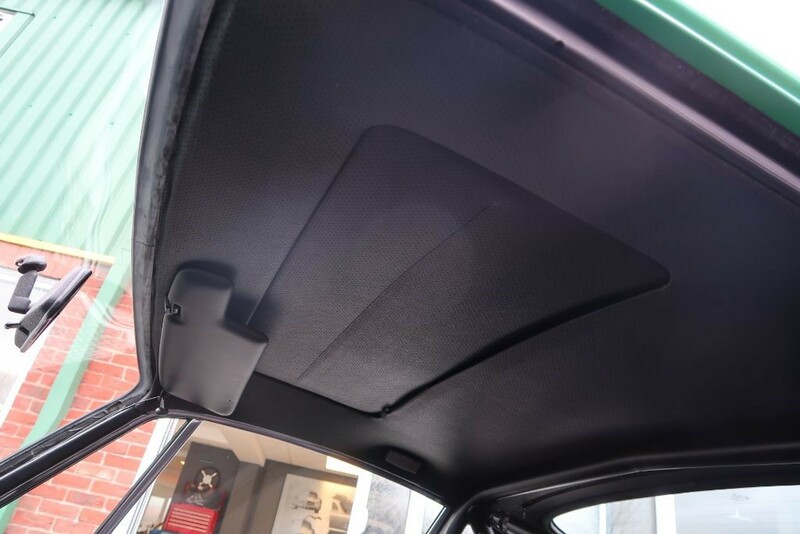 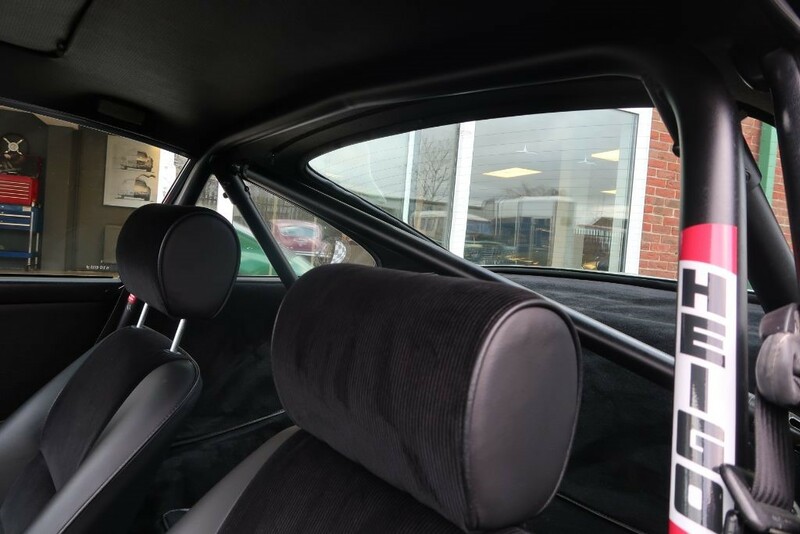 Inspired by a car featured in a specialist magazine, their brief was to build a 911 ST externally that could be used reliably in the summer months. 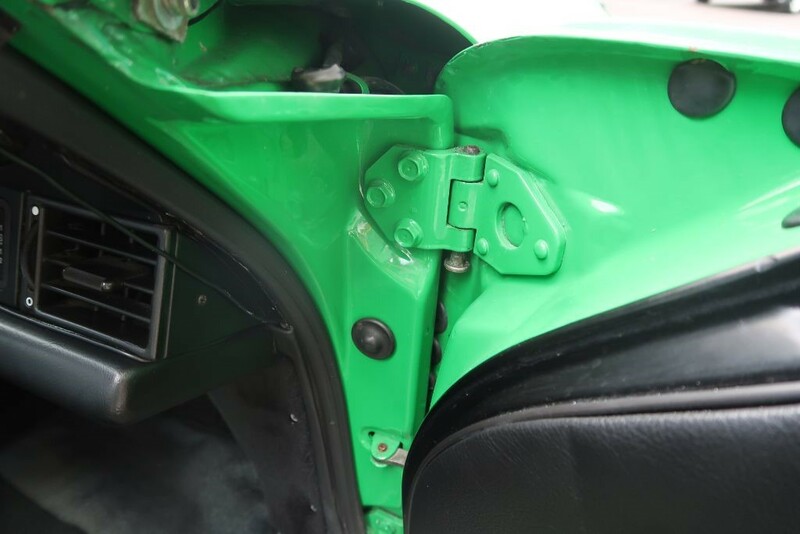 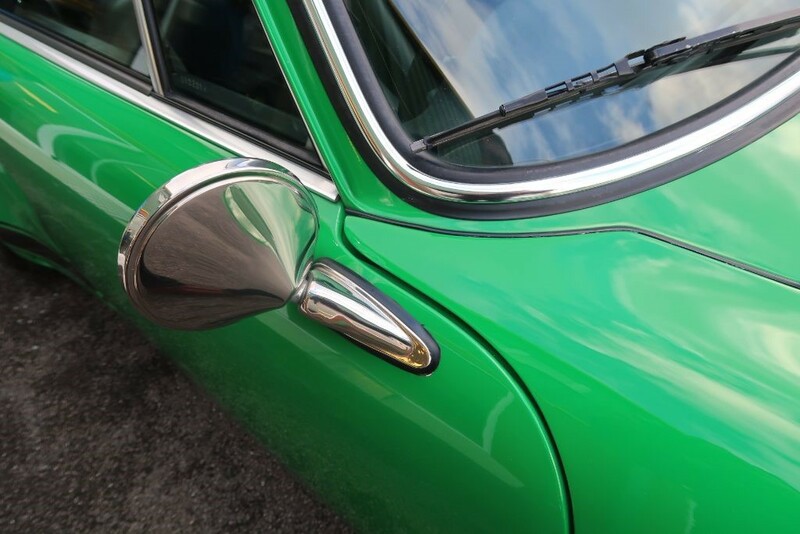 As work commenced the car was fully stripped and any necessary body repairs were carried out, i.e. 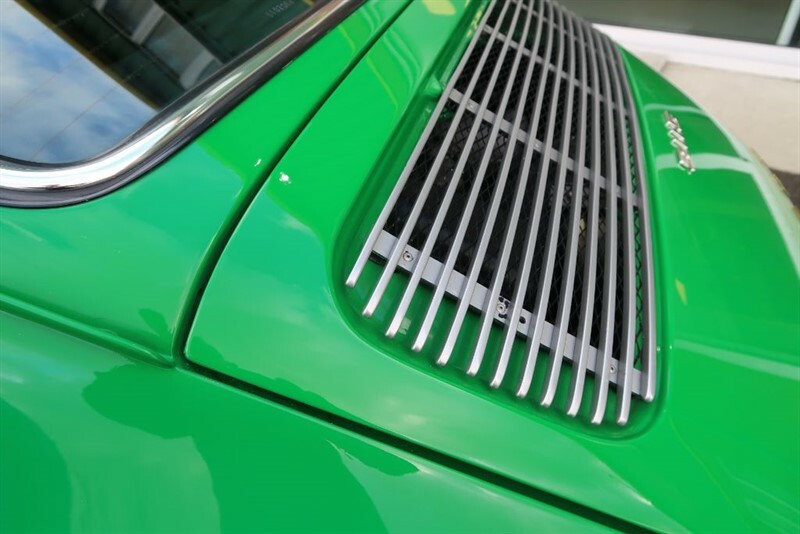 new sills and kidney bowls, prior to the modifications required to fit the new steel ST arches which were then metal finished. 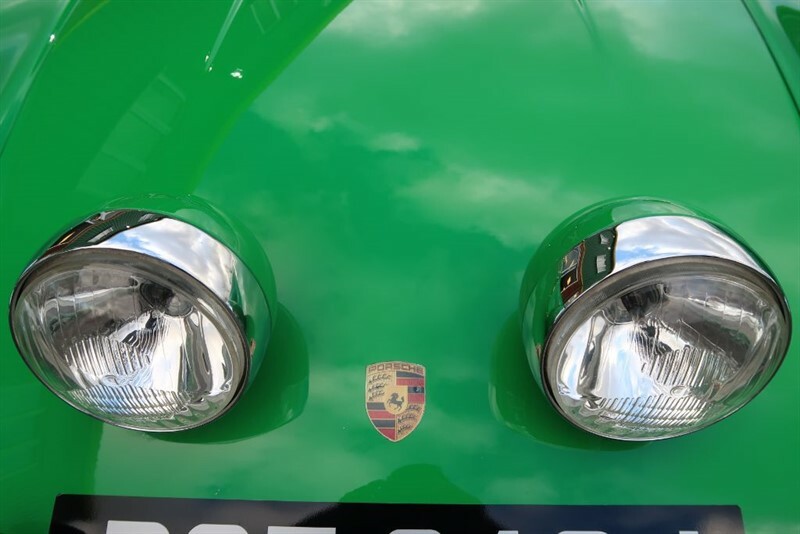 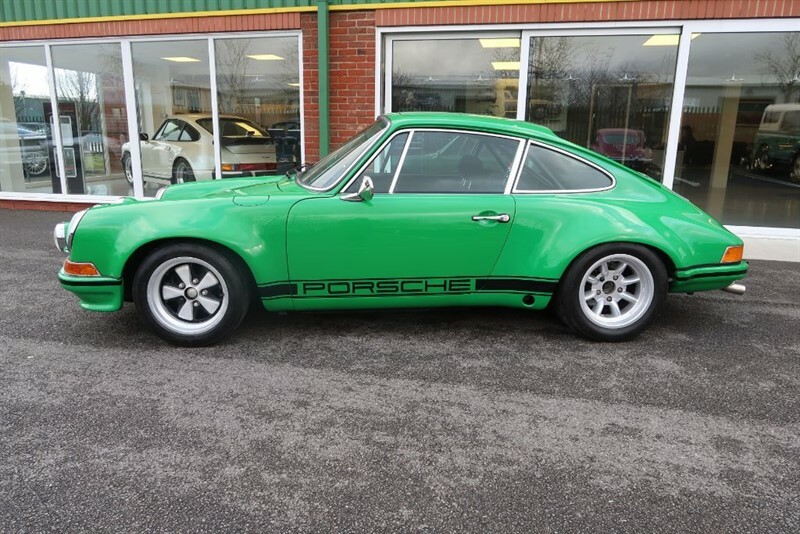 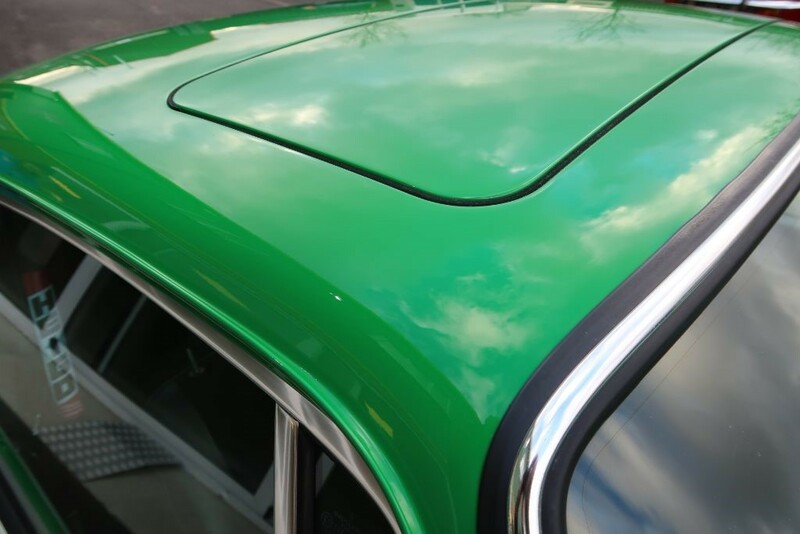 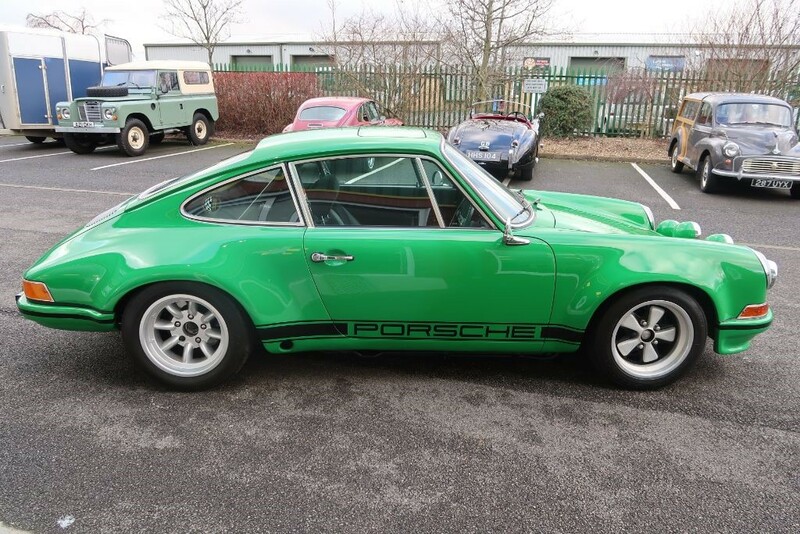 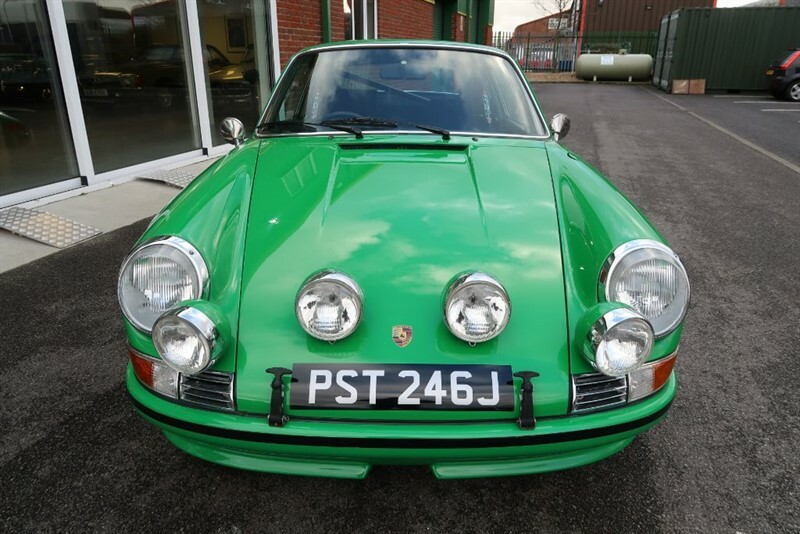 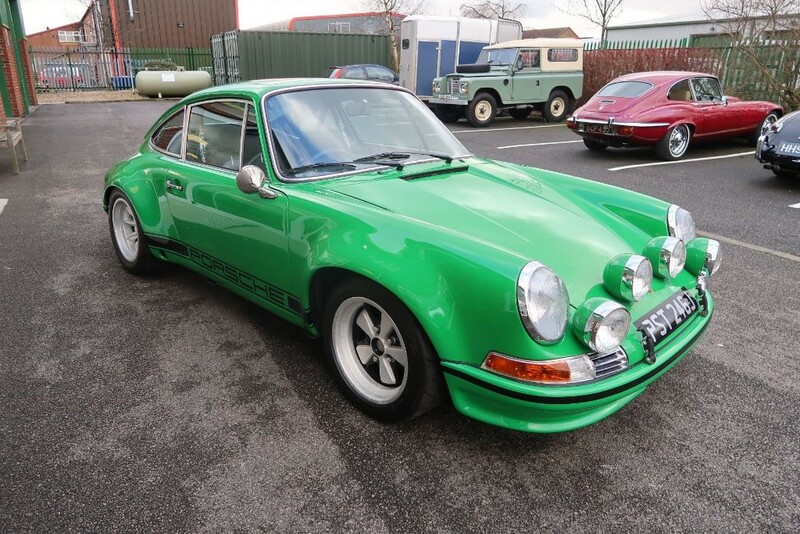 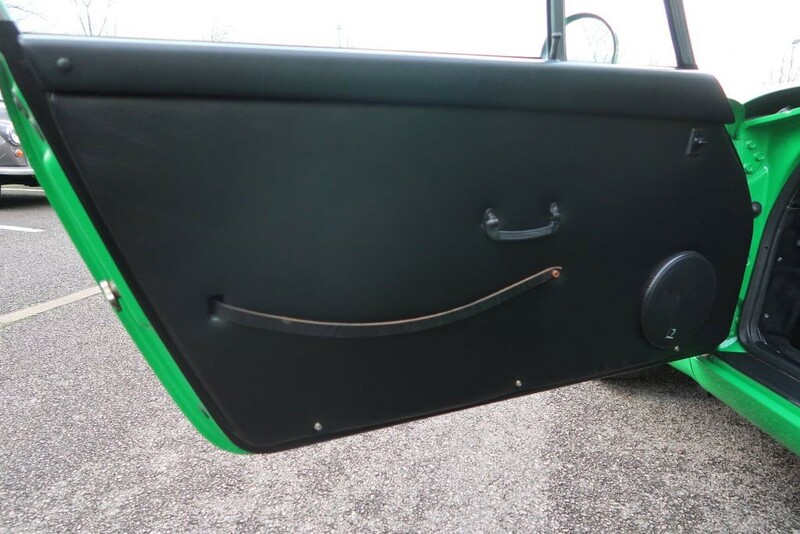 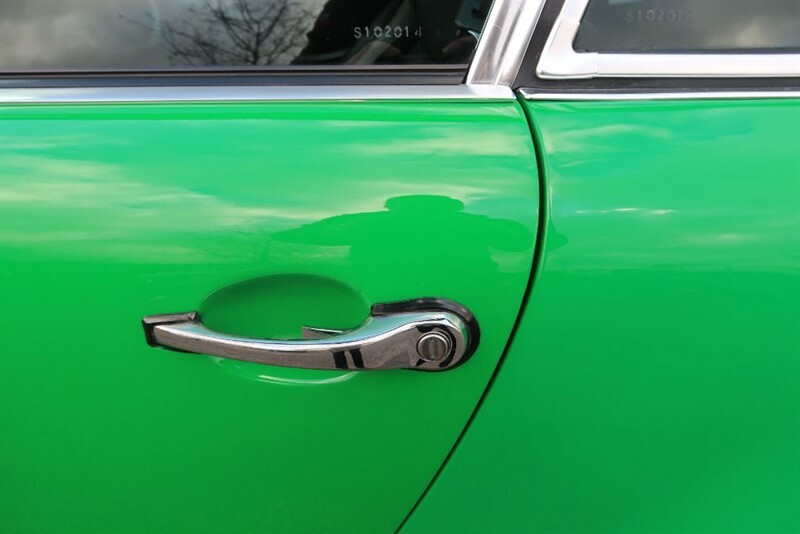 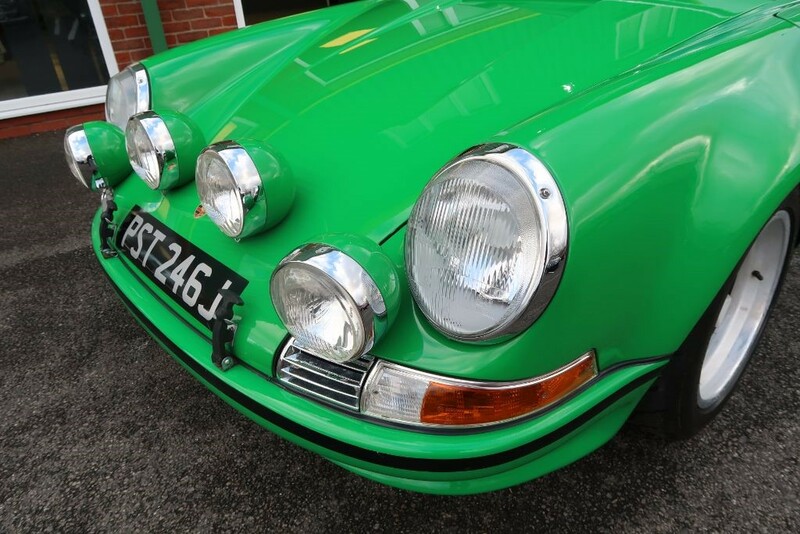 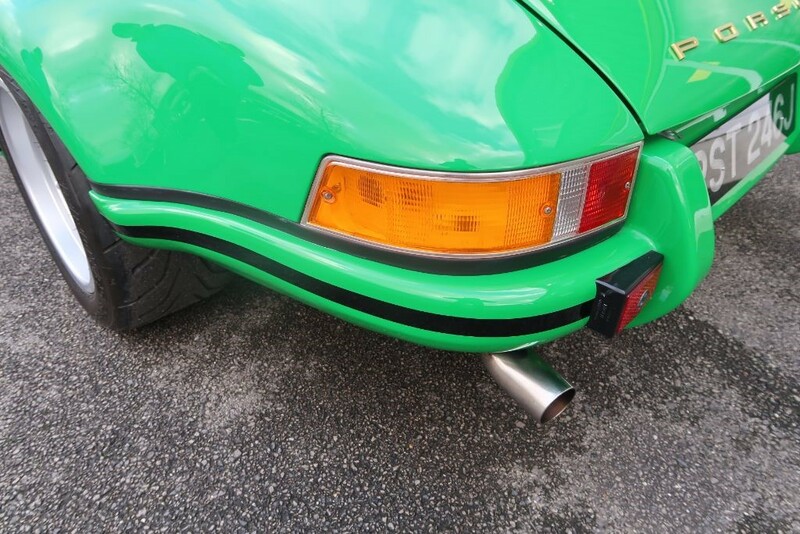 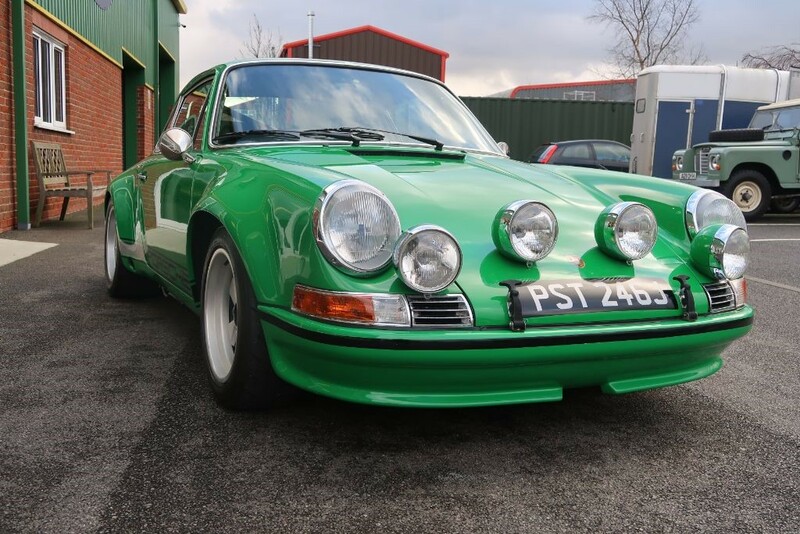 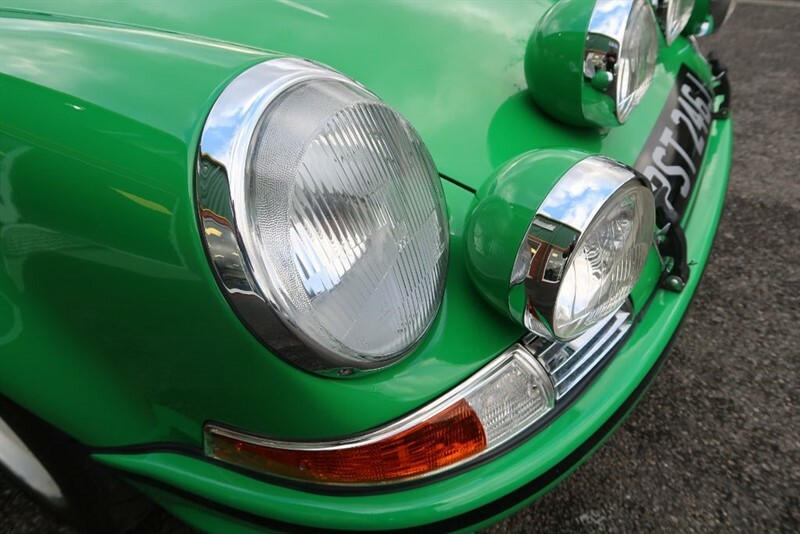 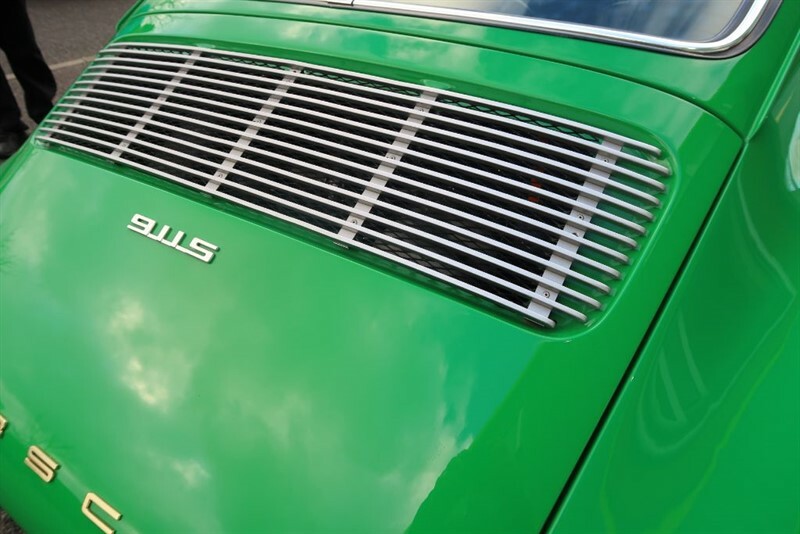 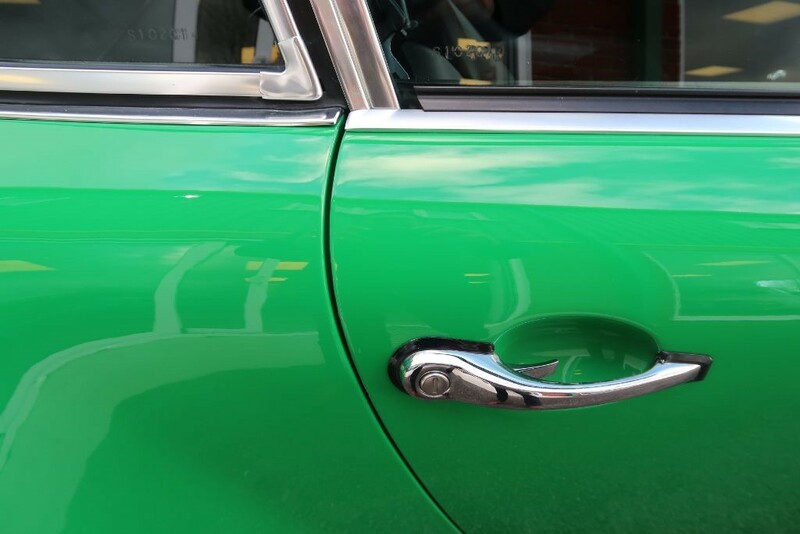 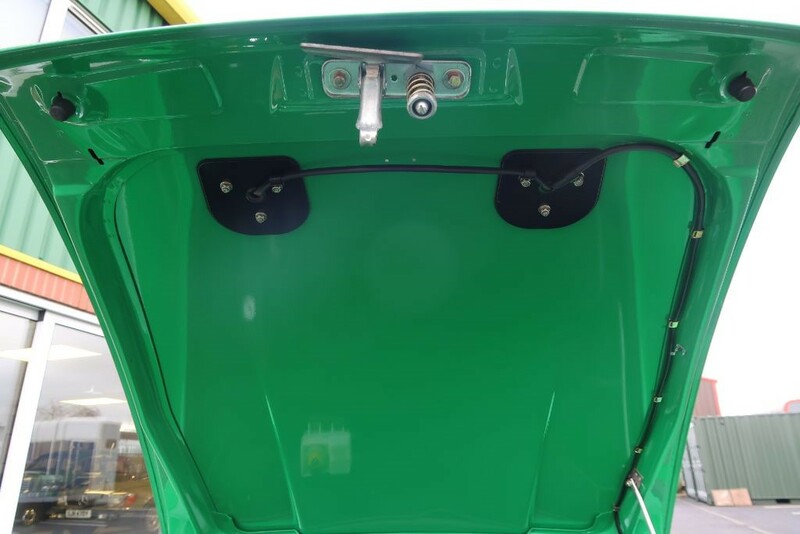 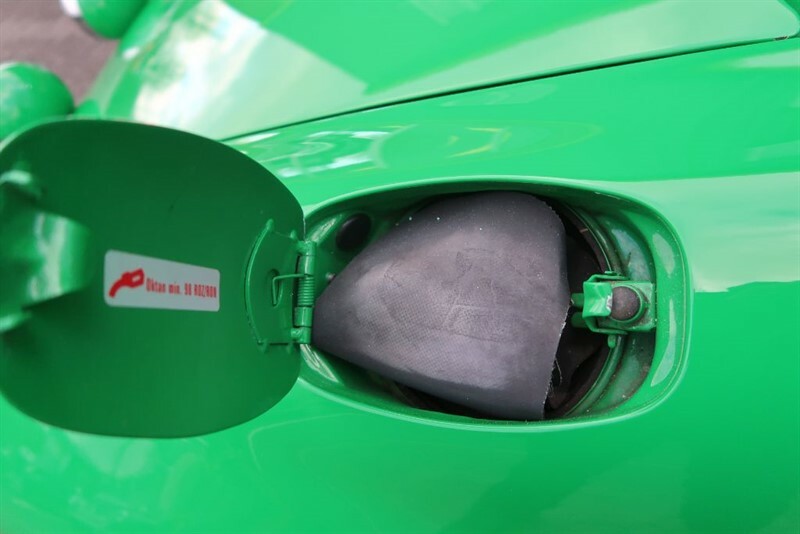 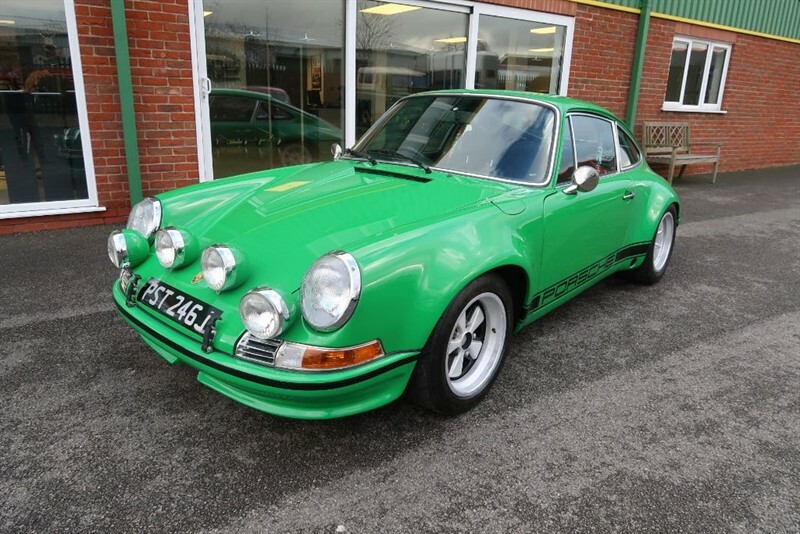 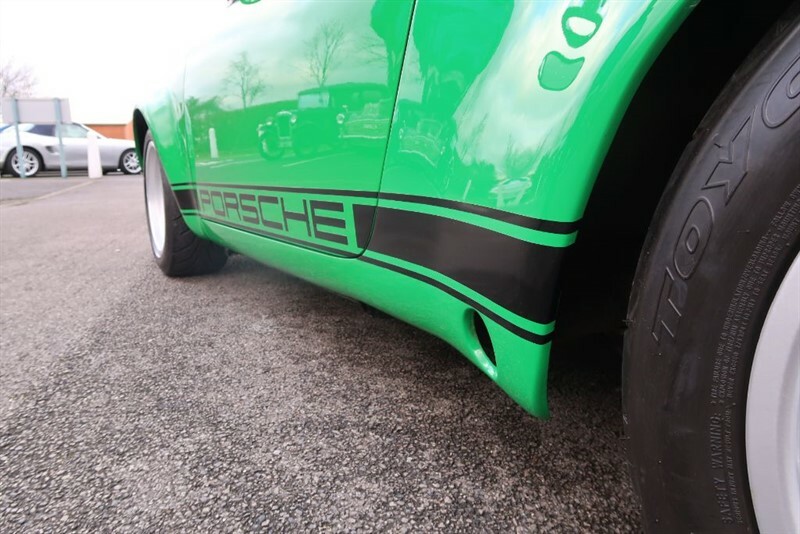 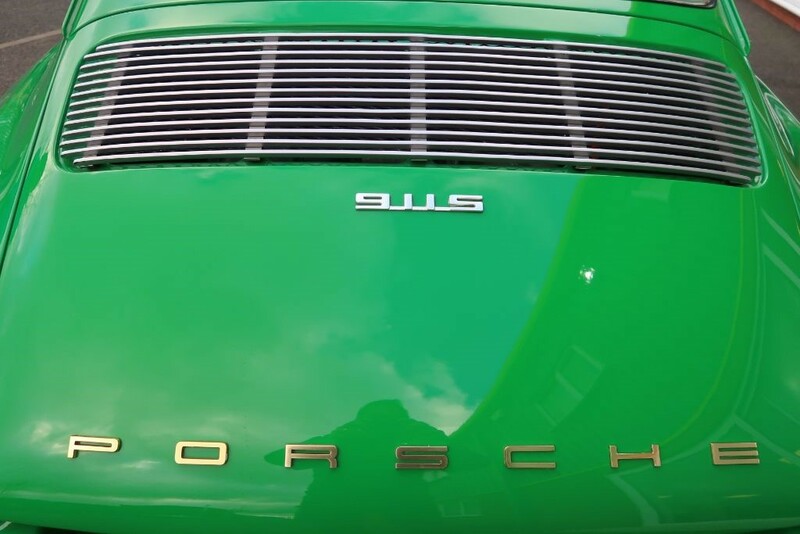 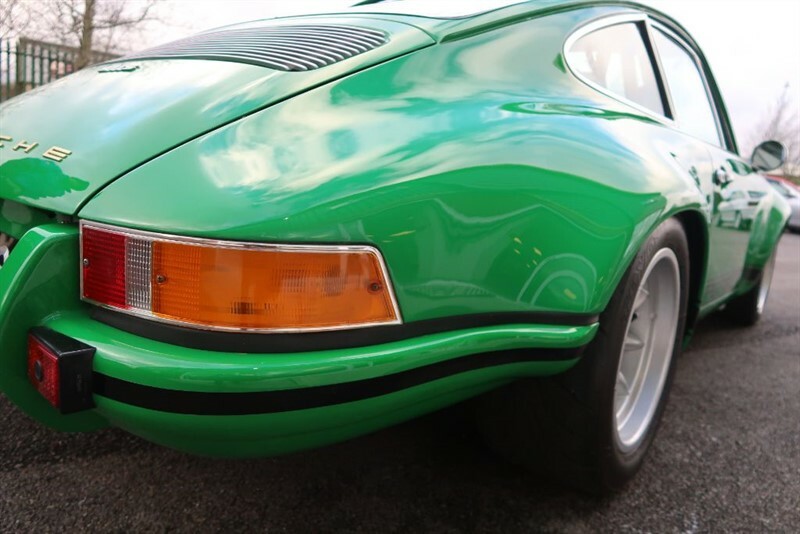 The colour was changed to striking Conda Green and details such as flared front & rear bumpers with a RS front spoiler, 4 Cibie spot lamps and early look brightwork was added to the door & window frames to complete the look. 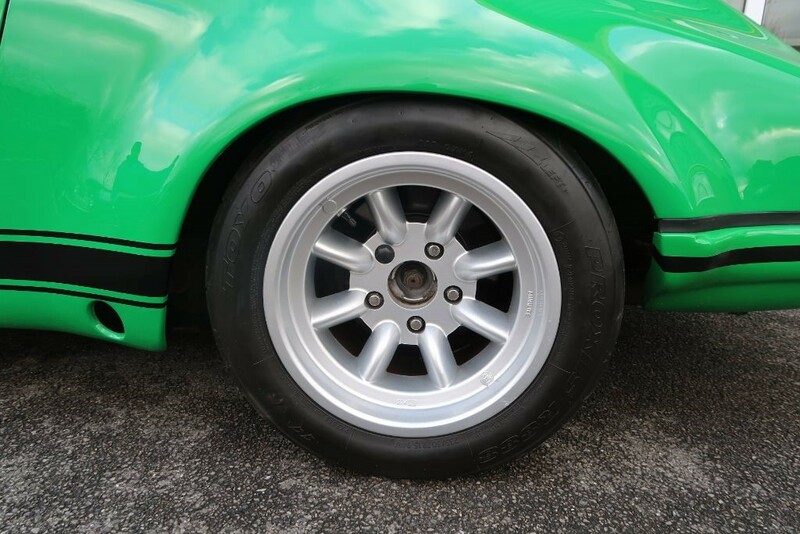 Bilstein suspension allowed the suspension to be lowered 50mm allowing the fat Fuchs/Minilite wheel combination to fill those new wide arches. 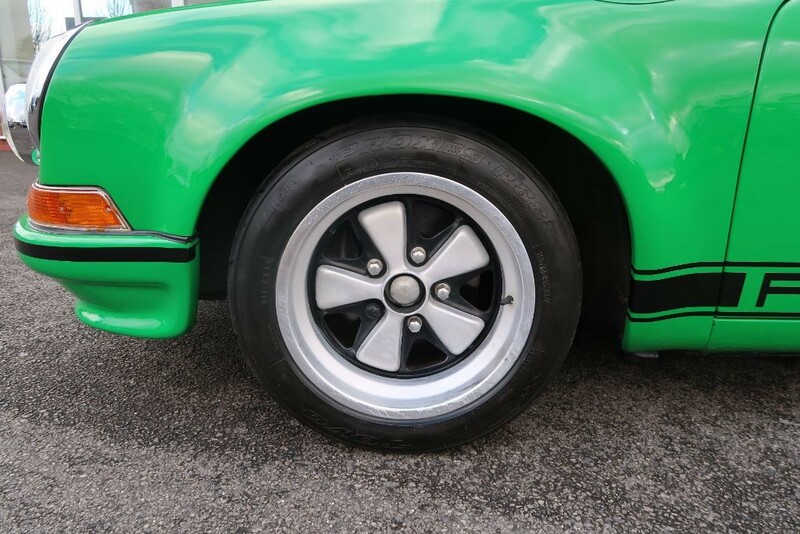 Mechanically the standard 3.2 engine was retained and detailed, a new clutch and flywheel were fitted as were new brake discs and pads. 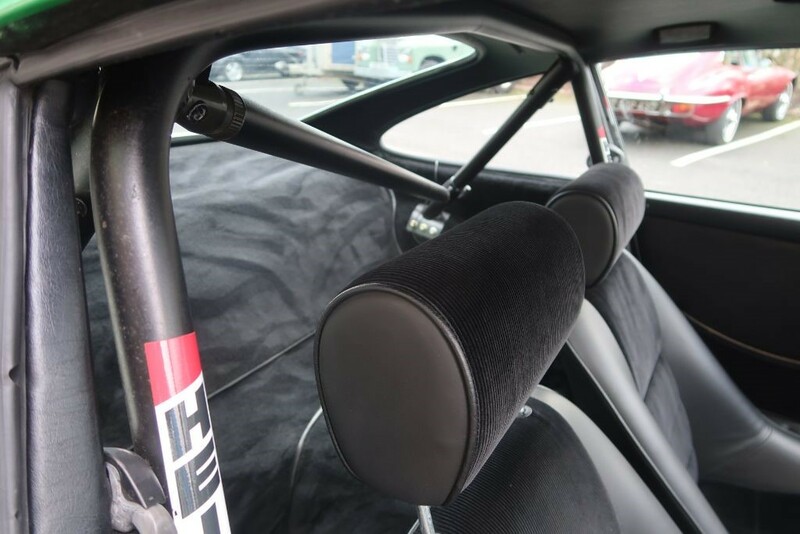 Internally, a bolt in roll cage sits behind a pair of smart RennSport replica race seats finished in black with corduroy centres. 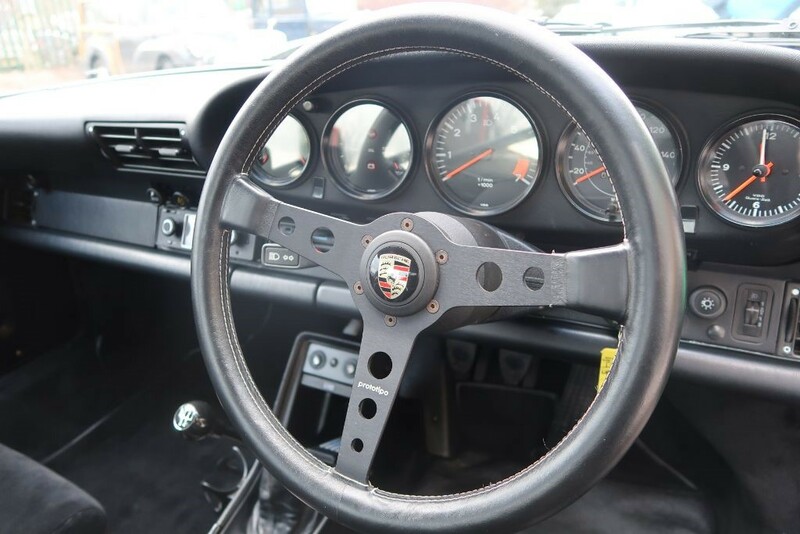 A Rennsport replica steering wheel and gear knob was also chosen. 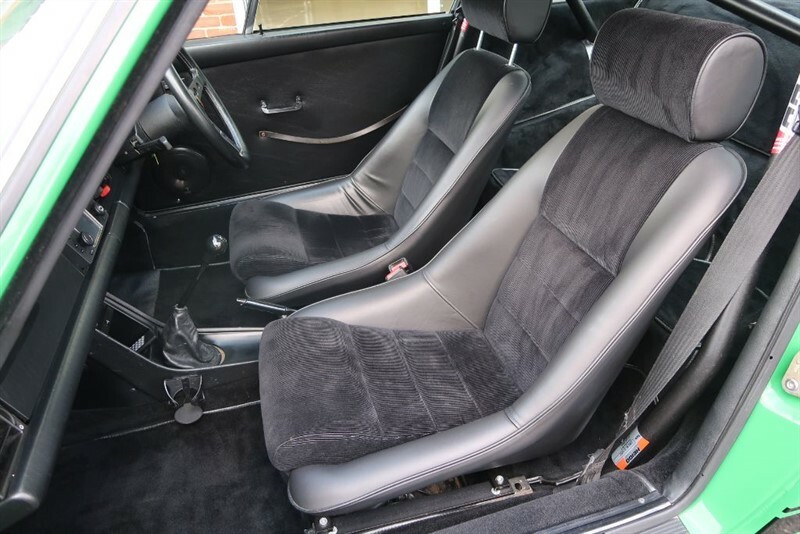 A lightweight carpet set and door cards were fitted and the headlining was also renewed. For modern convenience, a Porsche Classic Radio/Navigation system with Bluetooth was chosen. 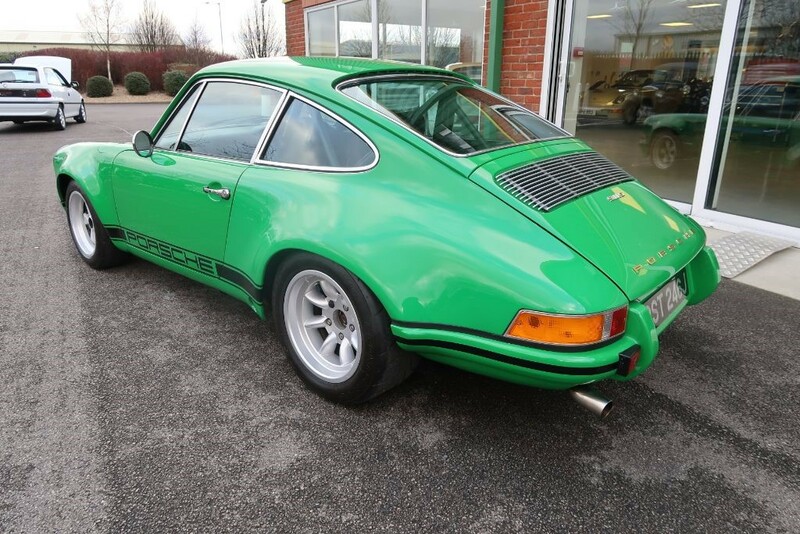 Worthy of any collector or enthusiast, this immaculately presented car was until recently part of Jamiroquai lead singer Jay Kay's renowned car collection and, whist in his ownership, in 2016 benefited from an engine overhaul by historic Porsche specialist Maxted Page, the relevant invoice is in the extensive history file.